Go straight on Eustis Avenue. 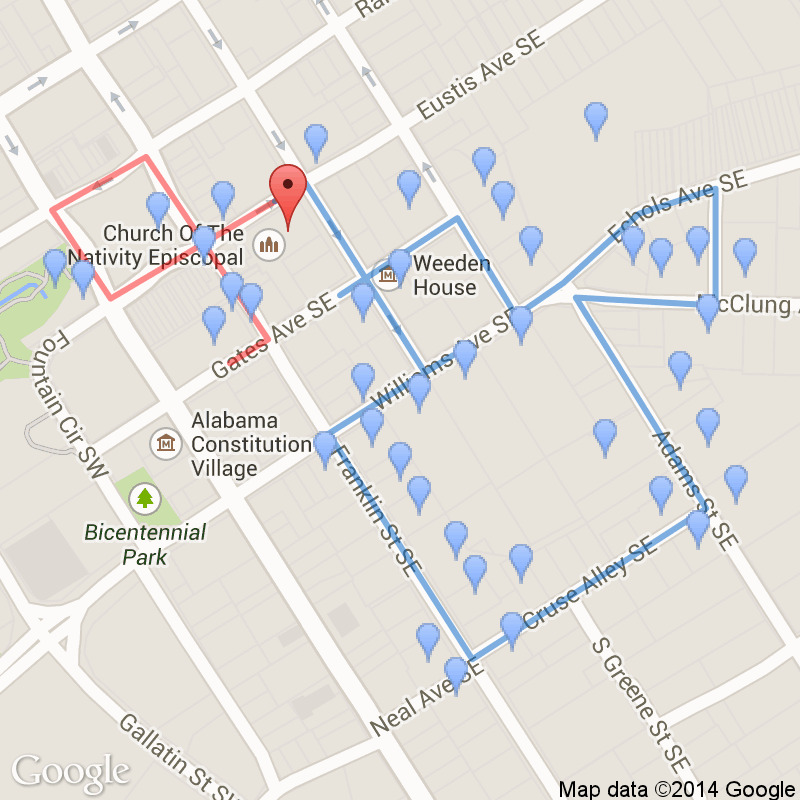 Stop in front of the Church of the Nativity at 208 Eustis which will be on your right. 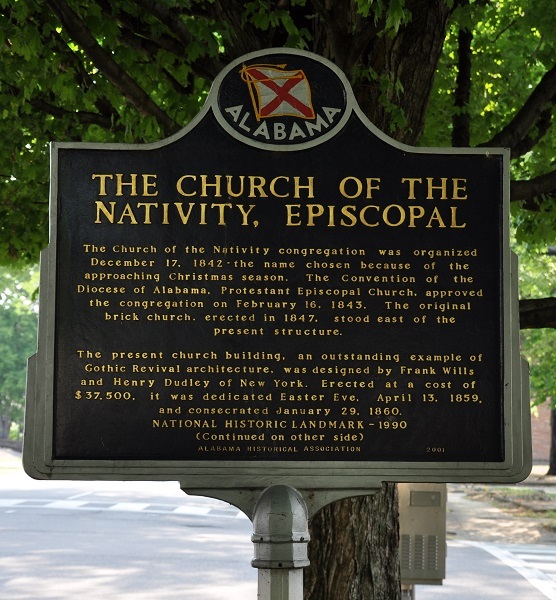 The congregation of this church was organized in December, 1843, and chose the name Nativity because it was the Christmas season. 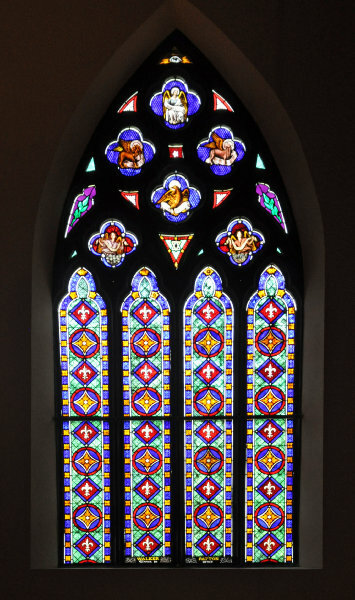 It was built for $37,000 and was completed in time for the Easter Sunday service in 1859. 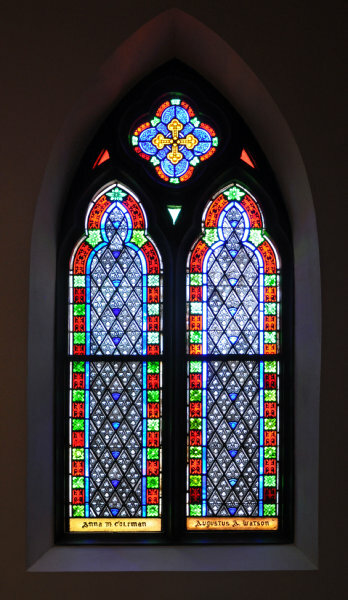 New York architects designed this Gothic Revival building, which is the only building in North Alabama that is a National Historic Landmark, not to be confused with the National Historic Register. 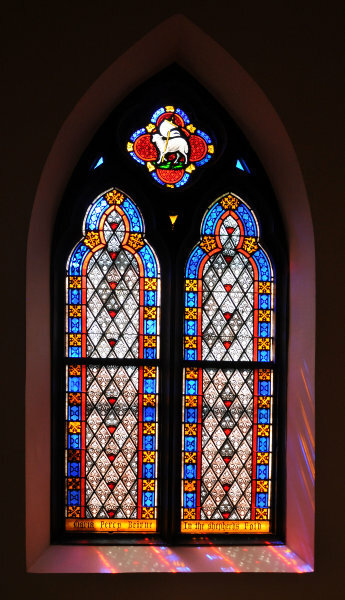 Local legend says that the inscription over the door, "Reverence My Sanctuary," saved the church from use as a horse stable during the Civil War. 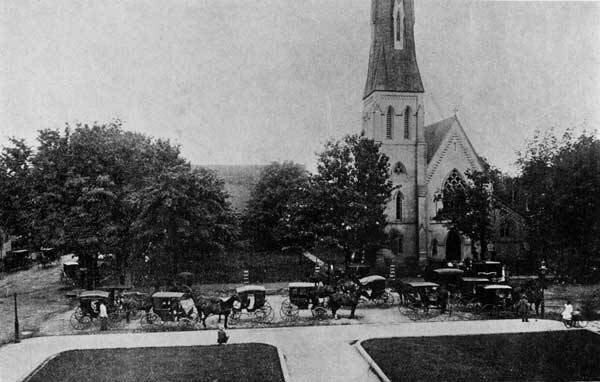 The Union soldiers who refused to take their horses inside, took them instead to the nearby Methodist Church, which was accidently burned in 1864 when a campfire was started inside. 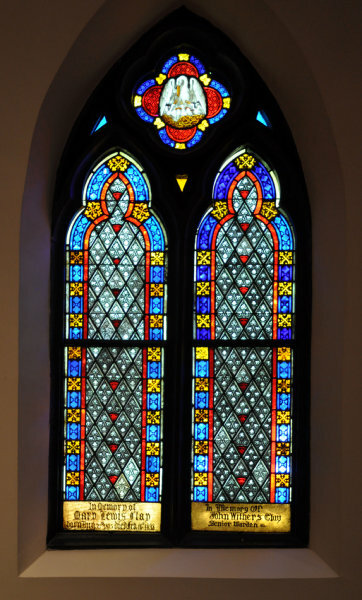 The Reverend Dr. John Monro Banister served as the rector of the Church of the Nativity, Episcopal, from 1860-1906. He was born in 1818 in Petersburg, Virginia, graduated from Princeton University as valedictorian in 1840, was admitted to the bar in 1842 (but never practiced law) and died in Huntsville in 1907. 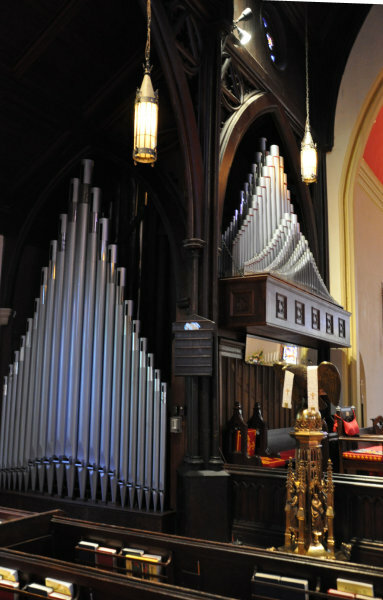 The Church of the Nativity congregation was organized December 17, 1842 - the name chosen because of the approaching Christmas season. 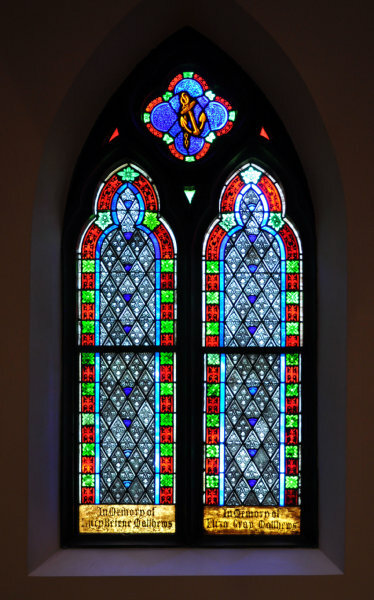 The Convention of the Diocese of Alabama, Protestant Episcopal Church, approved the congregation on February 16. 1843. 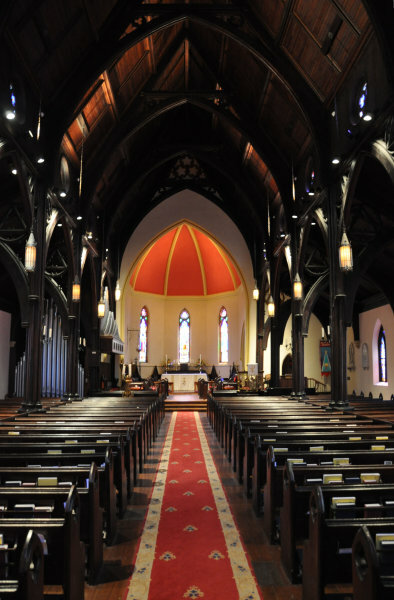 The original brick church, erected in 1847, stood east of the present structure. 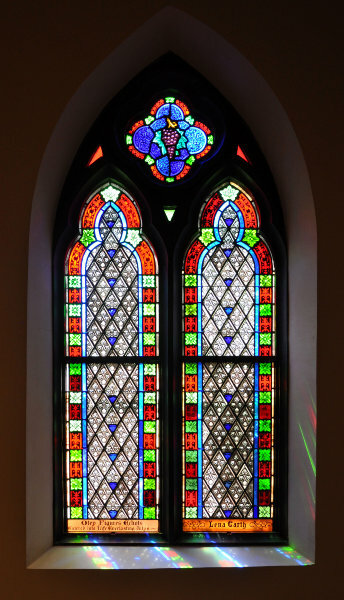 The present church building, an outstanding example of Gothic Revival architecture, was designed by Frunk Wills and Henry Dudley of New York. 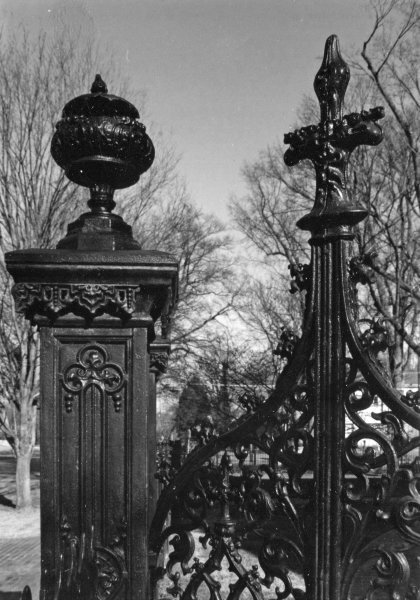 Erected at a cost of $37,5OO, it was dedicated Easter Eve, April 13, 1859, and consecrated January 29, 1860. 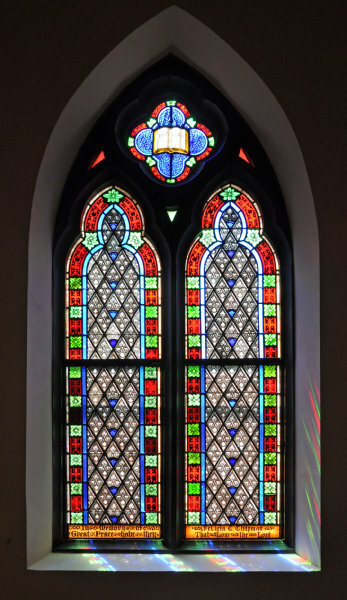 Bibb Chapel was consecrated in 1806 as a memorial to Wilson Carey Bibb. 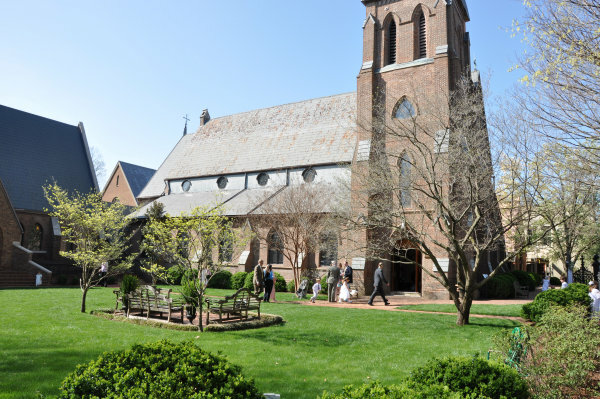 Ridley Hall, for parish functions, was completed in 1953 as a memorial to Dr. James L. Ridley. Joffrion Hall, dedicated in 1983 as an educational building, was named for the Rev. A. Emile Joffrion, ninth rector. 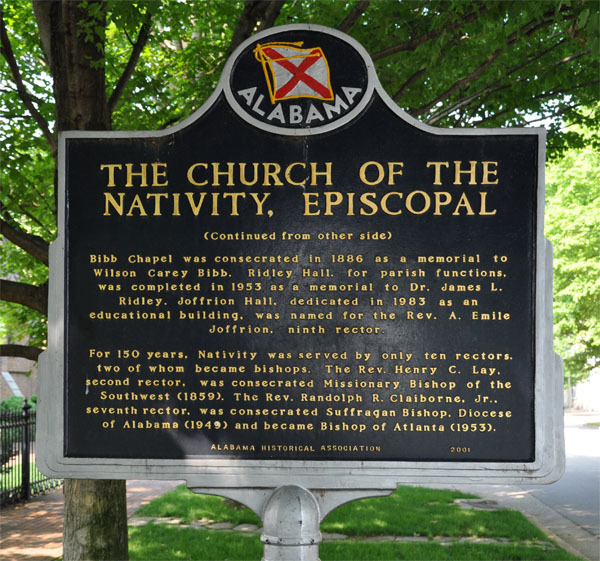 For 150 years, Nativity was served by only ten rectors, two of whom became bishops. The Rev. 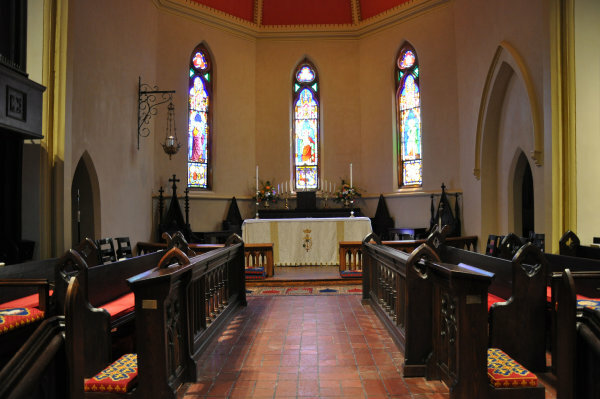 Henry C. Lay, second rector, was consecrated Missionary Bishop of the Southwest (1859>. The Rev. 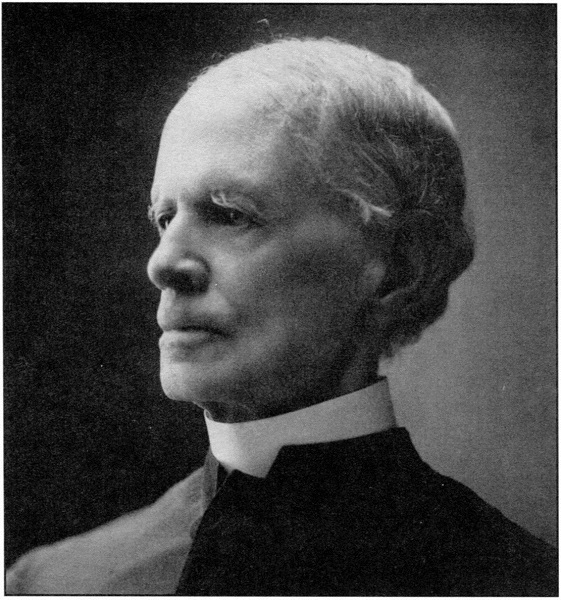 Randolph R. Claiborne, Jr., seventh rector, was consecrated Suffragan Bishop, Diocese of Alabama (1949) and became Bishop of Atlanta (1953). 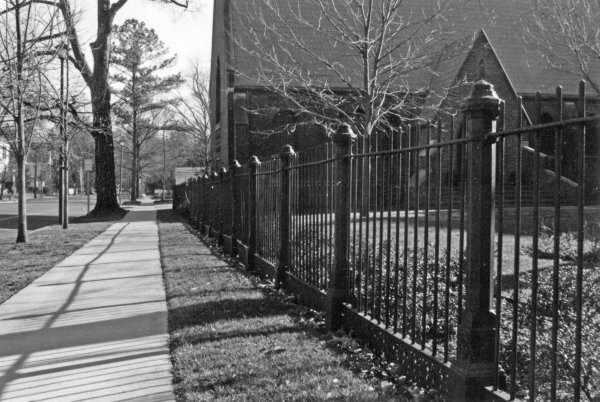 Front: The Church of the Nativity, Huntsville, Ala.
"The Church of the Nativity Episcopal located on Eustis Ave. was organized in December 1842. This photo shows a funeral outside the building, which was constructed in 1859, and is still in use today. 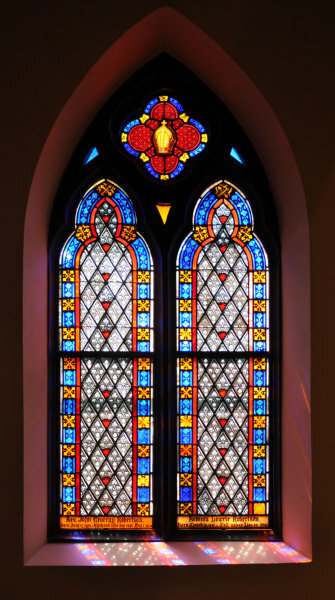 Considered a fine example of Gothic revival architecture in the South, it was designed by architects Frank Wills and Henry Dudley of New York and cost $37,500. The spire reaches 151 feet tall. 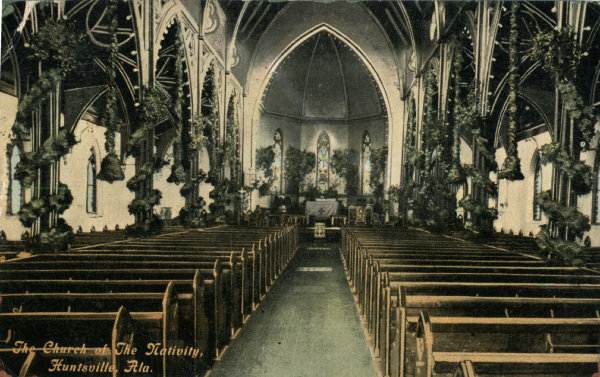 The original church building and present church stood side by side until the orginial was razed in 1878." 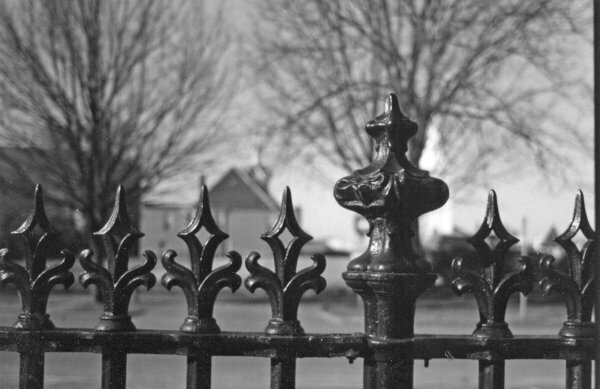 Cast iron north fence 1859. 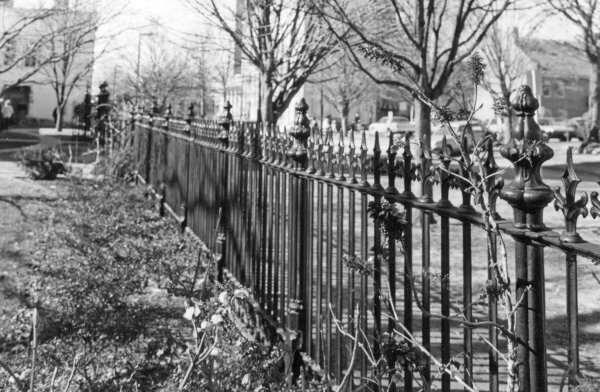 Church of Nativity - East fence at Greene Street installed c1880s / newspaper item in HJ files (verify date). 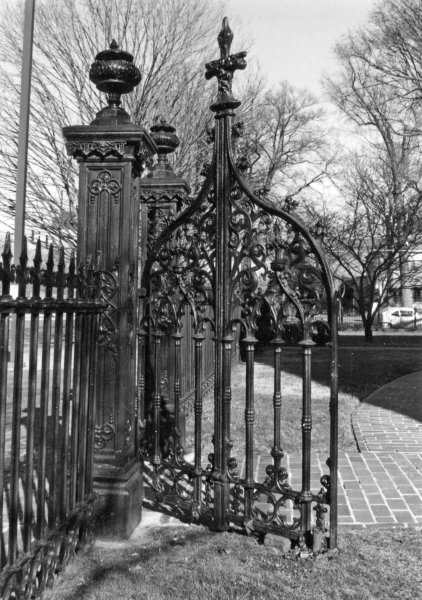 Cast iron gate c. 1859. (A calalogue item. 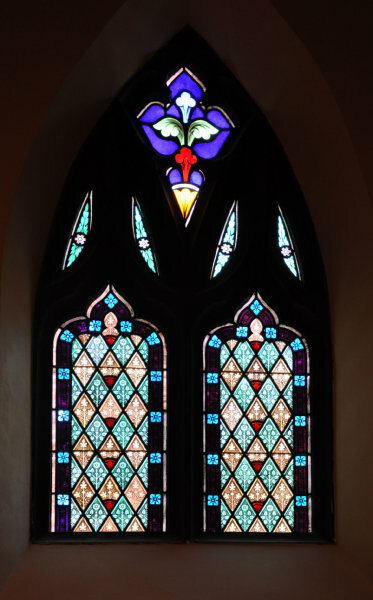 Same design is in a Mobile cemetary - See Robert Gamble's book on Alabama Architecture.